A colleague of mine asked me for help with a database query. 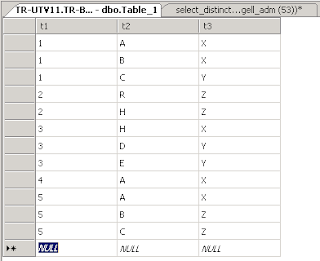 The table in question where of the normal type with an id column and several columns of data. 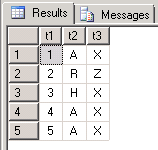 However, the id column was not holding unique id's but the same id could be used several times, with different data for each occurrence. 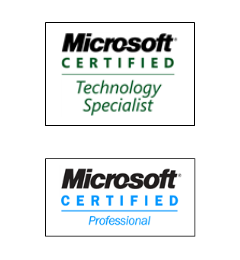 The task was to select only one row per id and it could be any one of the available. The first column, t1, is holding the to-be distinct id:s. t2 and t3 is random data. So for every occurrence of an id in the key column t1, only one row will be selected. With modification of the inner query, a choice can be made of which one of the rows that is deemed more interesting than the others (but in this case, it didn't matter).